The results, which appear in the July 30 print edition of Nature andonline, represent a culmination of more than a decade of work by researchers in three countries, including Christer Jansson, director of plant sciences at the Department of Energy’s Pacific Northwest National Laboratory and EMSL, DOE’s Environmental Molecular Sciences Laboratory. Jansson and colleagues hypothesized the concept while at the Swedish University of Agricultural Sciences and carried out ongoing studies at the university and with colleagues at China’s Fujian Academy of Agricultural Sciences and Hunan Agricultural University. 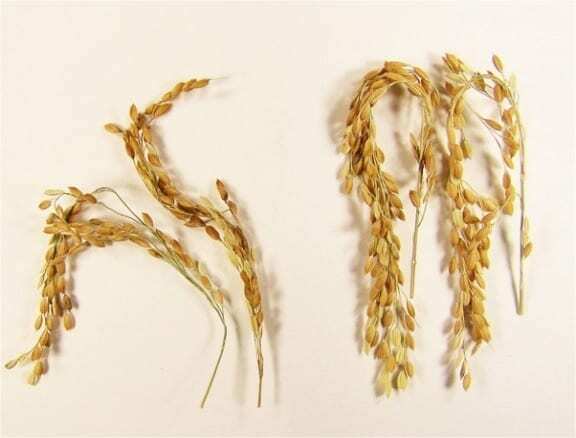 February 16, 2016 - Green rice: Making the world's staple food methane-free GeographicalRice production, a major source of anthropological methane emissions, could be transformed by a revolutionary new genetic strand. November 18, 2015 - Engineering Popular ScienceFrom genetically modified rice to supertall skyscrapers, these 10 engineering innovations are changing the world. July 18, 2017 - For the Love of Grains: China's New Environment Friendly Rice NDTVReport of a new rice cultivated by China is sure to be a welcome news for those worried about global warming and climate change. China's new rice to abate global warming?